Whether you’re a long-time fan of poetry or a reader looking to develop a taste for the genre, National Poetry Month is the perfect time to dig deeper into poetry reading. Inspired by Black History Month (celebrated in February) and Women’s History Month (celebrated in March), National Poetry Month was created in 1996 by the National Poetry Association to encourage poetry awareness. Celebrated in April, it remains the largest literary celebration in the world. This year we’re commemorating National Poetry Month by suggesting 11 must-read poetry collections by Black writers for your Spring reading list. 1. 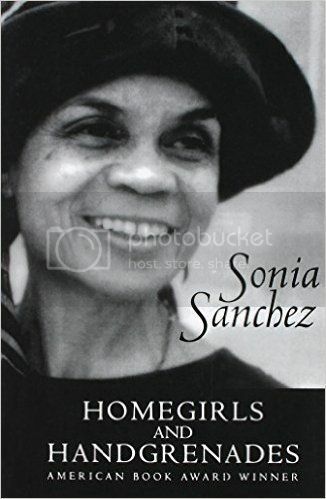 Homegirls and Handgrenades by Sonia Sanchez. “I wish millions of people knew that some of the joy in their lives [comes] from the fact that Sonia Sanchez is writing poetry.” Words of praise for Homegirls and Handgrenades from one of our generation’s most celebrated writers, Maya Angelou. In her ninth poetry collection, Sonia Sanchez seamlessly fuses the personal and political. 2. 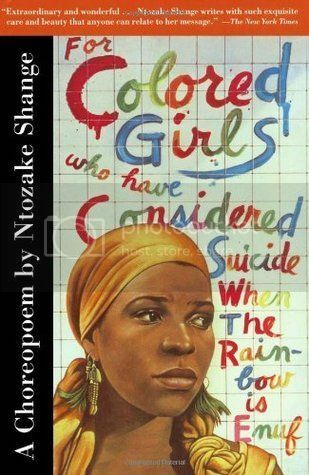 For Colored Girls Who Have Considered Suicide/When the Rainbow Is Enuf by Ntozake Shange. Part choreopoem, part praise song, feminist writer Ntzoke Shange’s For Colored Girls Who Have Considered Suicide/When the Rainbow Is Enuf is a quintessential lesson in self-love and Black womanhood. 3. Directed by Desire: The Collected Poems of June Jordan. 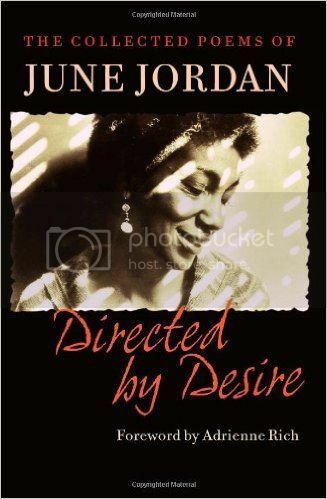 A staple on the bookshelf of every June Jordan fan, Directed by Desire is a collection of Jordan’s finest work and includes more than a dozen previously unpublished poems. 4. 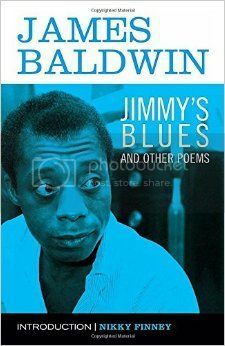 Jimmy’s Blues and Other Poems by James Baldwin. Though internationally acclaimed writer James Baldwin is best known for his novels and critical essays, Baldwin’s earliest writing aspirations were rooted in poetry. Jimmy’s Blues and Other Poems is the complete collection of his published poetic work. 5. 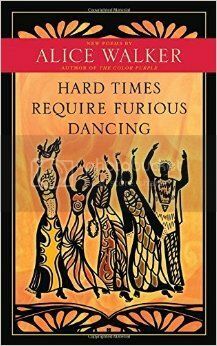 Hard Times Require Furious Dancing by Alice Walker. The poems that comprise Hard Times Require Furious Dancing were described by one writer as “a light boat in a storm”. In this collection, Alice Walker–best known for her groundbreaking novel The Color Purple–writes with the passion, honesty, and mastery of the written language readers have come to expect from her work. 6. 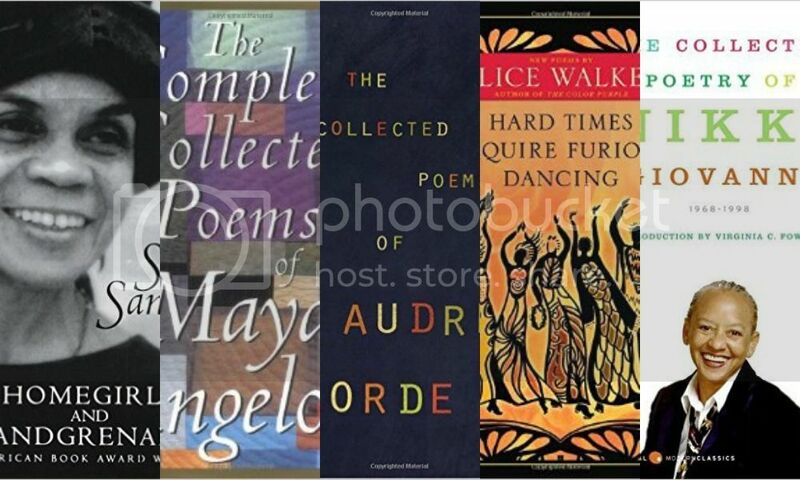 The Complete Collected Poems of Maya Angelou. Maya Angelou may be best known for her autobiographies, but her poetry once earned her the title “the Black woman’s poet laurete”. 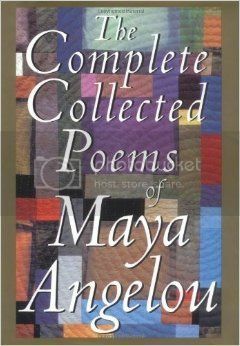 The Complete Collected Poems of Maya Angelou is the complete collection of her published poems, spanning over 20 years. 7. The Collection Poems of Langston Hughes. Fans of Langston Hughes, one of the most important literary figures of the Harlem Renaissance, will be delighted by The Collected Poems of Langston Hughes. 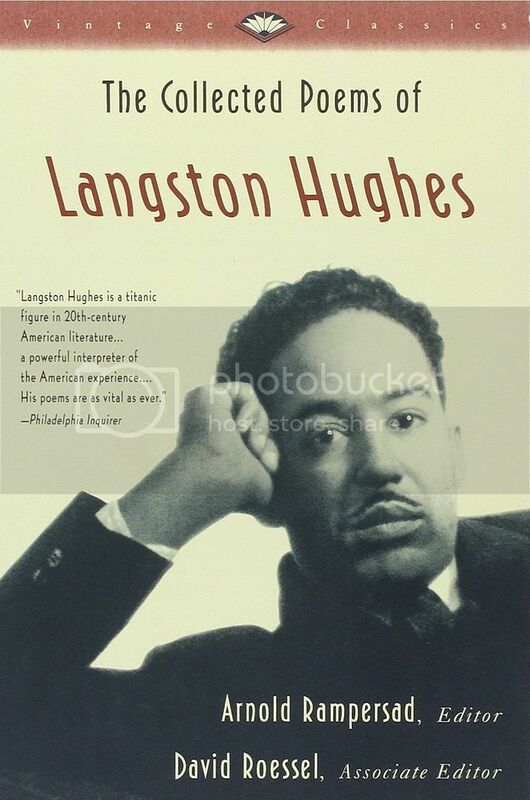 Described as the “heartbeat of black life in America” from the 1920s through the 1960s, the poems are presented in the general order in which they were written with added details of Hughes’ life. 8. 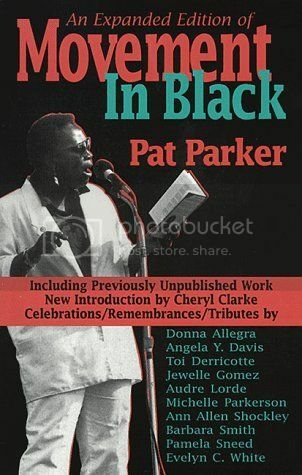 Movement in Black by Pat Parker. “Brother / I don’t want to hear / about / how my real enemy / is the system. / I’m no genius / but I do know / that system / you hit me with / is called / a fist.” True to form, Pat Parker’s Movement In Black pulls no punches. 9. 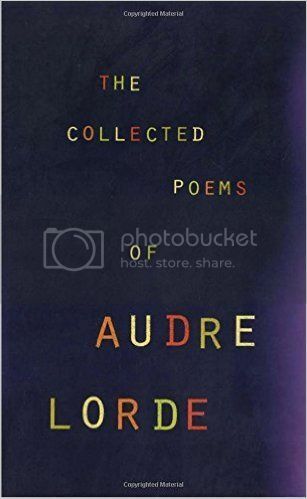 The Collected Poems of Audre Lorde. Audre Lorde, who self-identified as a “black-lesbian-mother-warrior-poet, published nine volumes of poetry during her lifetime. Her collected poems can be found in The Collected Poems of Audre Lorde, essential reading for poetry enthusiasts and fledgling poetry readers alike. 10. 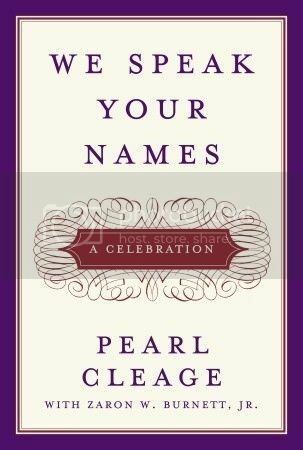 We Speak Your Names by Pearl Cleage. Penned by Pearl Cleage in 2005 for Oprah Winfrey’s historic Legends Weekend, We Speak Your Names is a praise poem honoring women making strides in their respective fields. Among the honorees are Toni Morrison, Maya Angelou, Cicely Tyson, Coretta Scott King, and others. The book begins with Cleage’s poem and ends with a handful of personal anecdotes. 11. The Collected Poems of Nikki Giovanni. 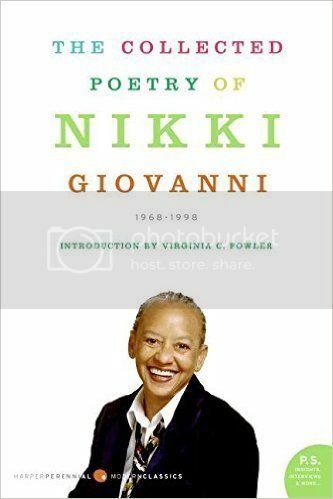 No poetry list is complete without a mention of Nikki Giovanni, one of the most prominent voices in American poetry. The Collected Poetry of Nikki Giovanni includes poetry from five collections (The Women and the Men, Black Feeling Black Talk/Black Judgment, My House, Cotton Candy on a Rainy Day, and Those Who Ride the Night Winds) with added notes and after-words by Giovanni. Jai Danielle is a freelance writer located in Tennessee. She enjoys books, beards, and Beyoncé (not necessarily in that order). She recently co-created It's Lit Club, a book club and bookish blog committed to centering Black voices in literature.